It seems impossible that Hayao Miyazaki has won only one Academy Award over his lengthy career — for Spirited Away — but that number will double when the Academy bestows am honorary Lifetime Achievement Award to the Studio Ghibli co-founder at the sixth annual Governors Awards program. He's the first Japanese filmmaker to earn one since Akira Kurosawa in 1990, so he's in good company. 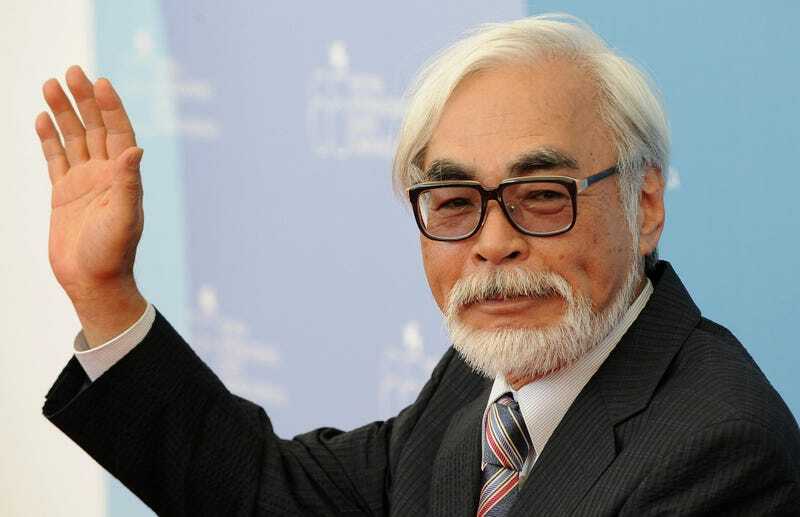 According to Rocket News, Miyazaki received the news with his customary, almost passive-aggressive diffidence: "Honestly, I don't think there's any need to give awards to people who have retired, but nonetheless, it is an honor."